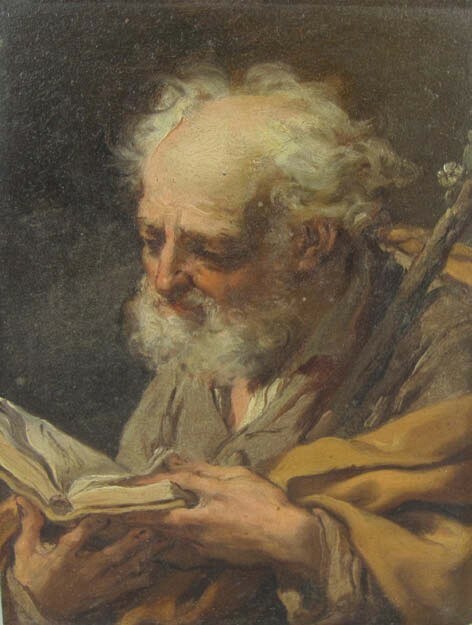 An oil on copper painting depicting Saint Joseph by the Bolognese artist Gaetano Gandolfi (1734-1802) was the highlight of Brightwells’ spring fine art sale in Leominster on March 21-22. The painting of Saint Joseph by Gaetano Gandolfi that sold at Brightwells in Leominister for £74,000. Believed to date from the mid-1770s, a prolific period for the artist, this small, 6 x 4½in (15 x 11cm) devotional picture represented something of a rediscovery. Though known via a photograph pictured in the artist’s biography Gaetano Gandolfi by Donatella Biagi Maino (1995), the exact whereabouts of the painting (previously thought to be on canvas) was untraced. It came for sale by family descent from a private collection in Herefordshire. Prof Biagi Maino had been happy to confirm the attribution with the auction house. Bidders emerged from France, Switzerland, Italy and the UK. Preserved in good original condition, it sold to a phone bidder at £74,000 (plus 22% premium), comfortably above estimate and a house record for art at Brightwells.